Many have trodden the path of starting bee farming as a hobby and ending up making this as their source of financial wealth. If you are interested in making this your hobby too and making money at the same time, then follow the tips given in this article. Many have already jumped on this bandwagon called bee farming and probably you are also interested in starting bee farming that is why you are reading this. This endeavor can begin as a simple hobby or pastime that usually stems from love of the outdoors. But this hobby can be a lucrative job you have never imagined. One selling point of backyard bee farming is the quality it has over those manufactured types you see on the supermarket. This is already one point for you to earn big bucks if you succeed in this business venture. Now to the question of how one can be successful in starting bee farming is another matter. Below are general tips on how to do this and let you start the right way to your bee farming success. If you are not yet a bee farming hobbyist and barely knowledgeable about the scientific nature of this farming style then you will need to do some research first so that starting bee farming for you is set on the right track. You need to know first and foremost what kind of bee is appropriate for your location and geography. There are many types of bees and this means some needs a specific climate for them to grow and thrive. After researching on this main point, you must learn how to take care of them. Bees are not like domesticated animals like dogs and bee farming is totally a different career than dog breeding for example. Knowing the basics of how to take care of them, know their needs, and know the appropriate environment for them is essential. Understanding that you are still new to the business of bee farming, the best way to learn how to do it is by contacting the beekeepers society in your local area. From them you can learn how to take care of the most important member of your bees: the queen. From them they will check regularly the status of your queen and see that everything will run smoothly. Far from your idea that probably starting bee farming needs a spacious land area, the truth is that you can start your bee farming even on your own backyard or even roof top for that matter. In order for you to start a hive of forty, you only need a little room for that. I would like to start the bee farm near dindugal tamil nadu. i need 100 bee boxes urgently and also good trainer needed . Please send us nearest place of bee farm contact details. mobile no. 9150281805. Thanks. Interested in starting bee farming. Location: Ibadan - Nigeria. Climate - Hot (Average of 32*c. Kindly advice on how to proceed. Regards. would like to start the bee farm near COIMBATORE tamil nadu. i need 100 bee boxes urgently and also good trainer needed . Please send us nearest place of bee farm contact details. mobile no. 9843237661. Thanks. i am cocoy from cebu, philippines, i live 83kms from the city and the climate is tropical. i want to venture this kind of endeavor, pls help me how to start. i'm waiting for your response. I want to start bee farming in the North West Province town of Mafikeng in South Africa. I have a 30 hacter farm and i don't know where to go and how to start. Please help! hi, i am from the philippines and would like to start a bee farm / honey trade business. Am a farmer at ndeiya semi arid area of kiambu 40kms from Nairobi in Kenya.Am wishing to improve my traditional hives to modern n improve productivity .I welcome partners ,researchers to change our locality in better farming methods. I'm in Bicol near Mayon Volcano, in the Philippines. I belong to a region where it always rains and typhoon prone. Our location is surrounded by mountains. Can I used local bees here? What will be my indicator in selecting bees? I Plan to look for local bees and have a custom- made bee hive. Don't have yet a detailed idea but will work on it. Any advice so far? i wish to start a bee farm as a hobby and a business. kindly give me the guidelines and the necessities required. Thanks a lot for the Information, I have initiated a project for my community in bee keeping but we still lack the resources to acquire all the required equipment and training. Can you kindly recommend for us any founders who will provide us with a grant for our project. guide me to set bee farming at the rooftop of my house. I would like to start bee farming in the Philippines. Location is in Tanay were I have 3 hectares of land with a lot of trees. Please help me so I can have time to converse with you. 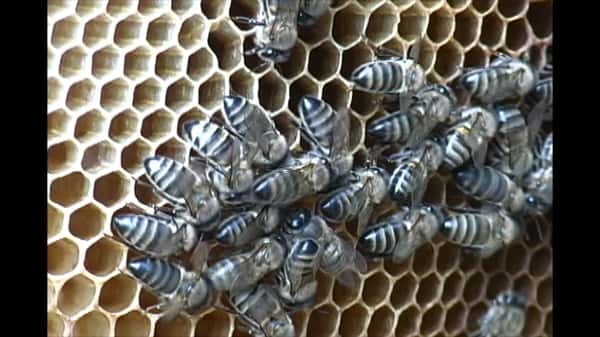 I would like to start a bee farming in Cebu Philippines My area is in the City and I wanted to utilize my roof top which is a 3rd floor for this Farming , Kindly advice me if it is possible for me to start this hobby. I live in the mountains here in Cebu in The Philippines and recently my American friend shipped two new bee hives along with supers will all frames and foundations from USA to get started in bee keeping. What I need now is to buy a good colony of bees. anyone know where I can buy a colony here? Thanks. i would like to start a bee farming in Palakkad, Kerala, pl send some vendor details. I would like to start a bee farm. I live in Nsawam in the Eastern Region of Ghana with very little funds. I would like to know how much it will cost me to start a bee farm. I would also like to have suggestions on bee keeping. my brother owns a bee farm in Australia and as of now we are expanding in our country, we have materials and products available here in the Philis. but we need farm who are interested our products, would you recommend those who want to try our bee products. I am a kenyan and with living Thika 45 km from Nairobi on a semi-arid area, and I am interested to bee farming. Please advice on how much it would cost me and how involving the project is.Thanks in advance. i am from thiruvannamalai tamilnadu and i would like to start a small honey bee farm please guide me. I WOULD LIKE TO START A BEE FARM NEAR MATHURA (UTTAR PRADESH) INDIA. SO PLEASE TELL ME HOW MUCH LAND IS REQUIRED TO MAKE IT POSSIBLE WITH 100 BOXES. AND WHAT IS THE INITIAL INVESTMENT IS NEEDED FOR THIS PURPOSE. I WILL BE GRATEFUL TO YOU. I would like to start a bee farm at Ikyogen, Benue state Nigeria. My location is a hilly environment with a lot of trees and moderate sun shine, Pls advice. It is my wish to start a bee farm. Please help me if you have any information. I am retired and like to start raising bee as a hobby and also for small scale business. I already did some readings on this but need some more technical advice and mostly addresses of suppliers for honey raising in Manila Metropolis, Philippines. Help! i am from pondicherry in india. i need hive boxers and also training in aquiculture nearby. Hi, i would like to start a bee farm in Nyanga, Zimbabwe. I want to know which trees must be planted so that you maximize quantity and quality. Also i need the information on the set up of the bee hives e.g per hectare of planted trees how many bee hives can i erect. Can you provide me with diseases which affects bee and types of bees which suit the above mentioned area and country. I would like to start a bee farm in small scale first. I am planning to set it up in andhrapradesh chittoor, india. pls let me know any such plants are already there near by to chittoor. thanks in advance..
Hi, i would like to start the bee farm near tiruchy tamil nadu. Please send us nearest place of bee farm contact details. My mail id jas.christ@yahoo.com.Thanks. Hi I am in Arizona and I am interested in starting a bee farm. Please send advice on how to get started. Hi. I'm interested in doing a comprehensive bee keeping course in the Philippine during June July this year - preferably close to Manila. Any ideas on whom to contact? Nick Cate. My name is Amalia Sem, i from Namibia and i am beekeeping specialist, for recommendation, contact me semamalia992@gmail.com ,thank you . hai I am nagaradjane from Pondicherry I have 15 bee boxes and I planed 100 and more if you have old mt boxes are new mt boxes in low price please  (radjane74@gmail.com)thank you. My name is R. Sethuraman. I would like to start a very small scale bee farm at Maruthuvakudi, a small village in Kodavasal Taluk (very near Eravanchery). I now reside in Chennai. For this I require 5 bee boxes and a honey extractor. Interested parties may contact me at 044 24990901, Thank you. I am interested in bee-farming. I live in Mthatha in the eastern cape province South Africa. I have no experience. Please advise. Hi... M from mangalore(karnataka)... I need to learn how to do honeybee farming and from where we get the materials and bee? And I also need to know know what we can start in rainy season? Lucknow, Uttar Pradesh, India. i would like to start a bee farming business. please tell me the route to start. my no is 8090083488/ 09452057998. I am interested in bee-farming in western Nepal. I want to know that how to get information about that business? Hi... I am S.Karthikeyan from Coimbatore, Tamil Nadu. I would like to start Honey Bee Box to be kept 2 or three in my house garden. Those who interest to help me please contact me 98422 - 52076. Plumtree. Zimbabwe. Would like to start a bee keeping project. I am interested in starting a modern bee farming in Gulu Northern Uganda and would need lots of advice on starting it since i have no experience/required training and would need funding for start up; and or link me to any possible funding agencies that can be of help. right now am looking for five hectors for the apiary and start planting the required trees for the bees. I want to start a bee farming business in gesura, obwari, nyamira district, Kisii town, kenya. I need to be advice on how much 100 beehives will cost me, what type of queen bee to use, and also to be helped to start the farming business with those who are around my area, so as to form/start a group of bee farming. I am eager to start a bee farming business and needs technical support and information. my location is Essien Udim Local Govt. in Akwa Ibom State Nigeria. What type of bee is suitable for my area and where is the source for bee hives and other equipment. am to send a breakdown of my expenses for starting a bee farm in ogun state. as down to earth as how much land i need and the cost including equipment. I want u to teach me how to do beekeeping on top of the roof of my house? I am interested in starting a bee farm in Freeport, Bahamas and would appreciate any advise you can give. Good day sir please sir I need more information about the queen bee and about the developing queen bee(from the egg)and what's the space required between each hive to make harvesting easier. thanks. Food Process Engineer by profession, I would like to start up a bee farming plant from farming to bottling in Cameroon for my local why not international market. I would love to have more information on the processing requirements (hives, processing equipment, bottling machine)that optimizes output.